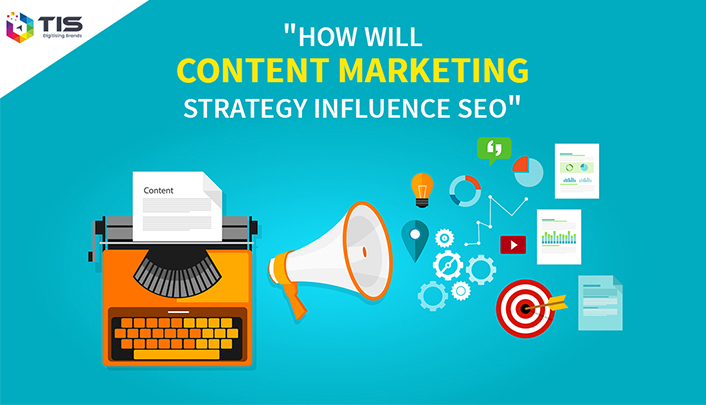 Home / Content Marketing / How Will Content Marketing Strategy Influence SEO? Remember ecommerce companies showing up on your email inbox to say, “We have 50 % discount coupon just for ‘you’?” This is what we call personalized content and it is comparatively an essential technique to ace the content marketing strategy. With the bombarding numeric, statistics and information on the internet how do you think, your content can stand out? How is your content unique? Why should people connect with you? It’s all about empathizing with your target audience and even better, sending out a message to them in a better personalized and enriched form. When you empathize with your target audience, you bond with them at relatively less time, leading to strong trust formation. Ever seen a fairness cream ad? The fairness cream brand highlights the problem of its target audience by not just getting into the psyche of its audience; in fact it creates an inevitable solution for their challenge. This is the reason behind personalized content being top-ranked into winning your target audience and enhancing your industrial growth at ease. Similarly if you are an e-commerce company, the best approach that you can apply to acquire a customer is by formulating personalized e mailers for both men and women with the shopping suggestions matched with their buying habits- after all everybody loves to explore the best for themselves. What do you think has enabled Google voice search to penetrate the market with such limited users? It’s the thought behind this innovation that connects the audience with voice search. We could have never imagined a visually impaired person using a smartphone just like we do- but Google voice search has empowered this thought to come true. The changing ecosystem of SEO has made internet inclusive and accessible for everyone; thereby bringing specially abled people into the fold of internet. Now the question arises if SEO strategies fail in the coming years due to the popularity of voice searches? The face of display advertisements will have no use? The answer is no, we need to gear up to cope up with the changing technologies and fuel them with our added efforts. To align with increasing use of voice search, you need to create your content that is conversational. By building dialogues in a plain and simple language your brand can appear in the top results when someone searches for it by using a voice search. Gone are the days when the content piece revolved around the long tail keywords to build links and apply content marketing strategies on it to enhance its google ranking. The deceiving part about this content pattern is, it has started to attract content just for the sake of ranking and without any useful content in it. Accordingly, the new pattern is more user-friendly and result oriented. Now, instead of overloaded keywords, Google prefers content that intent upon finding a solution and providing suggestions to the end users, greatly influencing the searching habits and content pattern. From content being the king for nearly a decade, the focus has now shifted to context. What has brought the remarkable change in the content marketing strategy affecting the algorithm of Google? Well! It’s the change in the search as well as information delivery pattern that is being applied these days. Do you still have questions about the concept of context? Context helps in resolving your query as quickly as possible by matching your query with its own data collection to reflect the best match for your (the concept of long tail keyword will slowly fade with the advancement of Context). For example, if you search for ‘Taj Mahal’ in India, your probable suggestions will bea local guide to Taj Mahal, official government site, some local videos etc. When you search for same Taj Mahal from USA, the search result will greatly vary. It might show some Taj Mahal’s history, timings, about Agra or maybe flights to India. Hence, Context aligns your search result with the most suitable answer to enhance the SEO game. We believe lux to be the most amazing beauty soap available in the market with unmatched fragrance and quality- that’s the power of influencer marketing. It is highly believed that influencer marketing will dominate the SEO ecosystem by the end of the year 2018. With the advent of a free flow of information via internet, people have started believing more in online recommendations rather than offline. Do you still lack trust? Open your Instagram, explore your news feed and open profiles of ten famous bloggers. You are likely to notice paid partnership updates on each of their profiles- and that’s how influencer marketing is spreading. What was your first thought when you heard about the leading internet company being irresponsible in handling your crucial data and information content? How can they be so stupid? Is there any authenticity and credibility in what they say and what they do? Probably you lost an ounce of trust in them- to put it plainly if the internet can make you, it takes a second to break you because people are extremely exposed to the insights of anything and everything- and internet is all about transparency. What will you choose to complete your syllabus a night before the exam,online video classes or an online article? Without even a second thought your interest might turn towards online video classes as they are more appealing and interesting- that’s exactly what’s happening in the content marketing strategies and SEO techniques these days. Users are more interested in video content, therefore create content that is engaging, relatable and has high video quality and align with user preferences make it easily searchable. Switch to video content to cope up with the demands of the user and to facilitate SEO. Native advertising is like a date wherein the ambiance, food, and overall feel are overwhelming and starting points to engage in a meaningful relationship. Similarly, native advertising is a package of everything of your interest according to your searching habits and opting for it can result in better relations between the buyer and the consumer. Whereas content marketing involves long-term customer relationship building and trust building through a relatively greater amount of time. What you think can work in favour of native advertising? This advanced form of content marketing has recently become the most preferred SEO technique due to its wide acceptance by the users. The message easily gets delivered to the target audience without the hassle of imposing the ads on your laptop screen- native advertising is the face of new SEO. Do We Write Content for the Content Marketers? Type “best indoor games”: on the google search page, go through the top 20 results. What did you see? Probably, you came across similar content in approximately 6 content pieces. What does this suggest? Do you write content for the content marketers? With ever increasing competition in the internet industry, you need to be extra-ordinary, original and informative to announce your existence or else there are millions of websites offering the same as you. If you do not want your content just to be the part of marketers spinning words, write to engage with your audience and create an inevitable platform for you/your brand. Our Way Towards an Adaptive Change! Personalized content might not boost your SEO ranking immediately but it is the most ideal approach of engaging with your target audience and eventually becoming ‘people choice’. Hence, SEO is directly or indirectly influenced by the pattern of the content marketing that needs a follow-up and a change in the delivery of the message. Here’s the most amazing part of the influenced and altered SEO, it will have enhanced: reach, awareness, consistency, visibility and traffic in the long run empowering all the section of people in the society with equal opportunity of absorbing technology.